Description - Who says plaid is only for shirts?! 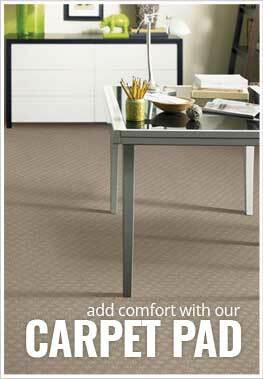 Now get you plaid fix with Joy Carpets Bit O' Scotch in your home or business. Resistant to mold, mildew, staining, and soiling, this broadloom carpet is perfect as flooring in high traffic areas, basements, and home theater rooms. Backed by a lifetime warranty, you will be able to live your Brave Heart dreams for years to come with Joy Carpets Bit O' Scotch. Recommended Uses - Joy Carpets Bit O' Scotch is the perfect durable, comfortable flooring option for any home or business and has been installed as flooring in basements, family rooms, in high traffic commercial areas, as home theater carpeting, in bedrooms, and much more. Perfect for home theaters, basements and commercial spaces.